A CHEF in a stolen black Mazda 3 led police on a country jaunt when he failed to stop in Biloela and headed east toward Gladstone. First spotted inland when refuelling at Banana it was not until late that evening police were able to arrest Jesse Giljevic in Nuggety Road, Calliope, after he failed to stop for officers in Biloela. Giljevic, 26, had lived an apparent ordered life until he racked up 26 offences in 10 months while working at Moura. His lawyer Jun Pepito told the court Giljevic's life spiralled down after a family incident. He began using drugs and lost his job. Giljevic appeared in custody before Gladstone magistrate Melanie Ho and pleaded guilty to all offences including dangerous operation of a vehicle on September 8, failing to stop, unlawful use of a vehicle, fraud, driving when disqualified, drug possession (cannabis and ice), entering CFMEU premises and stealing, and using a registration plate from another vehicle. Police prosecutor Barry Stevens said Giljevic was a man with no criminal history until his offending began between November 23 last year and September 8. On November 23 he was charged with driving when disqualified on the Dawson Highway, driving a Ford with registration plates from another vehicle, driving an unregistered and uninsured vehicle, and possession of a restricted item - a telescopic baton. On Sunday May 1 Giljevic was charged with possession of methylamphetamine, drug utensils, driving an unregistered and uninsured vehicle, and other offences. 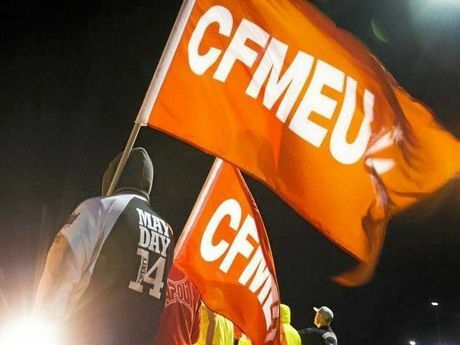 He was also charged with entering the CFMEU premises at Moura in May and stealing a laptop computer, printer, and set of speakers. He later told police he got the baton online from Geek.com not realising it was illegal. Ms Ho said he had no criminal history but had apparently turned to drugs after suffering a relationship breakdown and turned to drugs and crime to cope. She sentenced Giljevic to 18 months supervised probation with immediate release as he had spent four days in custody. He must do therapeutic intervention and drug tests. He was fined $1900. Ms Ho said he placed his passengers in jeopardy by his driving and police had ended their pursuit when he failed to stop, police saying his average was 123km/h in 66.9kms on the Dawson Highway. Giljevic's licence was disqualified for five years, Ms Ho telling him he would have to learn to ride a push bike.